Hello! I live in a community where there are a lot of hunters, and even though I don't care for the sport myself, when I have to make a card for one of these guys, I pick an image I know they'd appreciate. 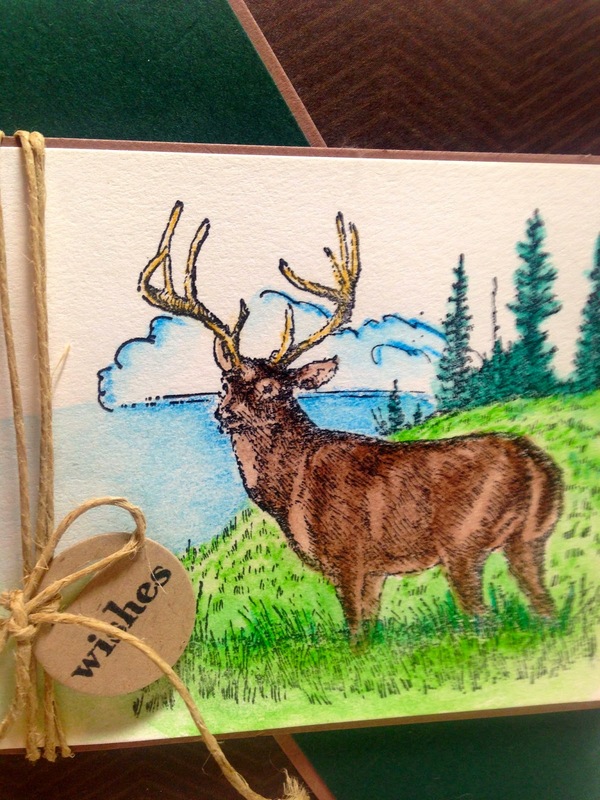 My favorite masculine image is the old retired Stampin Up! 'Noble Deer'. It's a scenic image that's easy to color because the deer is already shaded for you. From past experience coloring this image, I have found that colored pencils work best. I used watercolor pencils to color this image. For some reason, I've never been able to color this image with Copic Markers. 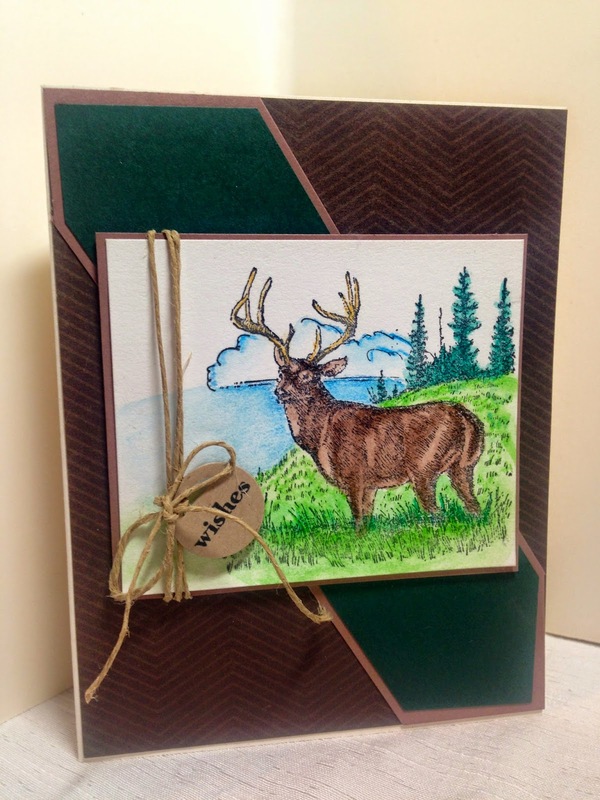 I chose a masculine style sketch from Splitcoaststampers (SC323), and my papers are from DCWV 'Natural Matstack'. The sentiment is from Crafty Secrets and it is stamped on a tag that I made with a Cuttlebug Die. The only embellishment I added was multiple strands of hemp. I also popped the entire main image panel up on dimensionals. I don't know about you, but I always find masculine cards the hardest to make and I never have any in my stash when I need them. I'm always searching for new ideas to make cards for all the guys in my church. If you have made any masculine cards in the past, I'd love to see them! Include a link in your comments below. Oh this masculine card is just fabulous ! Superb scene ! Hi Amy. I thought I had left a comment on this card, but apparently either my computer glitched or I got interrupted before publishing the comment. Your card is really beautiful and perfect for a masculine card. I love the way you added the tag with the twine. I have a hard time with masculine cards as well. I did post one on my blog today.